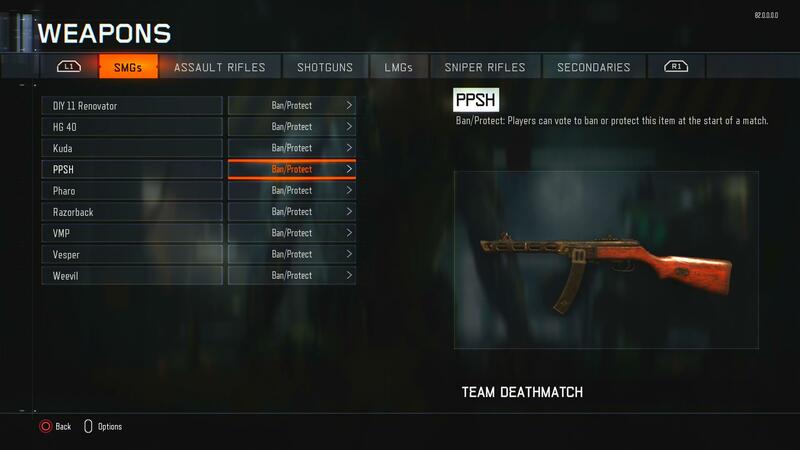 The M16 and PPSH-41 Are Coming to Black Ops 3! 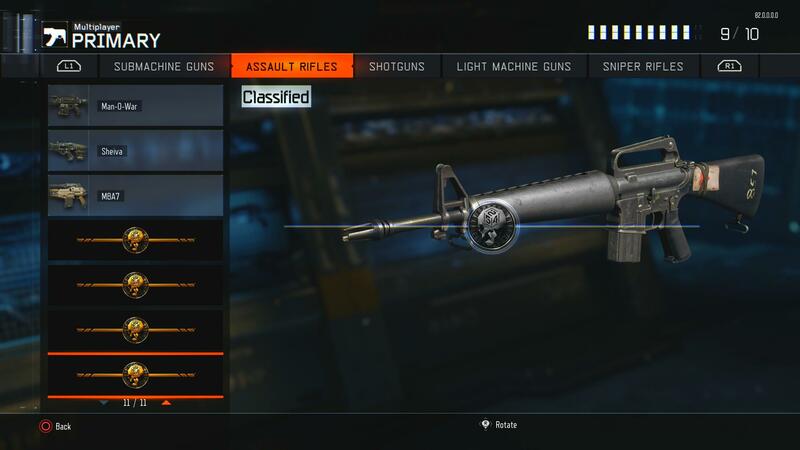 Black Ops 3 has had a ton of weapon DLC thusfar, it looks like we'll be seeing the M16 and PPSH-41 in Black Ops 3 as well though very shortly! Black Ops 3 has provided players and fans with new content on a regular basis in supply drops for over a year now. Roughly every month and a half we get new drops of brand new weapons in supply drops but only exclusive to those drops. With a surprise update coming to Black Ops 3 today, we may be seeing more weapons in Black Ops 3 as early as in the next 24 hours. It is possible these may be held off until a later date, but we usually see weapon “leaks” if you want to call it that, stemming from new patches and launching the following day, most usually Tuesdays or Thursdays. This weapon drop is looking to include the PPSH-41 from Gorod Krovi and former Call of Duty titles as well as the Call of Duty staple weapon, the M16. Both of these were spotted in game earlier in the day and serve as a great indicator that they’ll be on their way shortly. The official update, Black Ops 3 version 1.20, went live for Xbox One and PS4 users earlier in the day and for a good bit of time, nothing out of the ordinary was found in the game. The patch notes beat any rumors or finds even, it was that delayed. While the patch didn’t display any information as to weaponry (which is to be expected), it was just under 2gb in size and offered up a few bug fixes as well as performance improvements for the dynamic 4k playability on the PS4 Pro. As mentioned though, no word was given on the addition of new weapons but many players became skeptical that we had 2gb of data with no real substance. Then, people really got to work. This is where we are first introduced to the M16 and PPSH-41. Rest assured, this is not Photoshopped, this is a real, in-game item that you yourself can even view if you feel you would like to. If you go to look in the standard create a class menu or in the bans and protects options in the custom lobbies, you will not find them. They will display only the standard weaponry that is already installed and already released if you do. There is another step that must be taken to view the new content. In order to view the two new weapons, you’ll need to disconnect from the internet on either console that you are on, close the application and relaunch. From there you will be redirected and prompted that you cannot play online matches but you still can access the LAN menus and game modes (which is essentially custom games but with no internet connection). Upon launching up the LAN menu settings, you can either view the items in the create a class menus and/or in the bans and protects of the custom match settings. So why does it not display any new weapon category and why is it listed that there are still only eleven and nine weapons per respective categories? It is because it comes down to a scripting error. 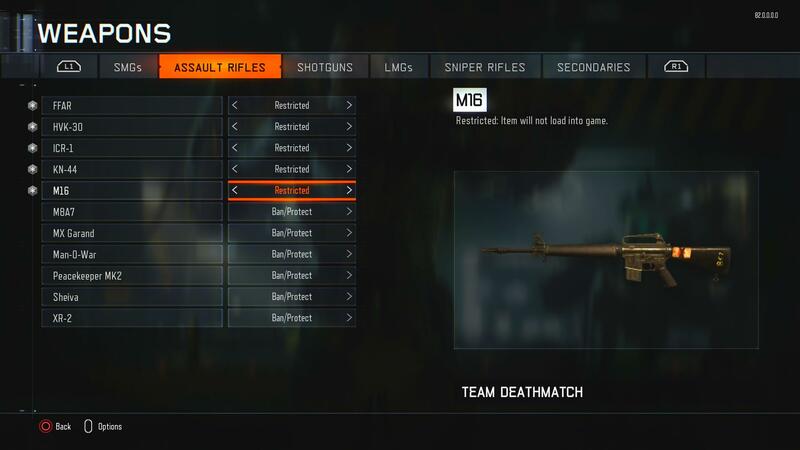 The weapons are hidden behind the game code until the patch fully goes live and implements them in supply drops. However, when a script error occurs, it does not add the full weapon to the listing, but instead adds an image in create a class in place of a pre-existing weapon, that of a current DLC item. As well, if you were to check the full listings in the bans and protects, you’ll see that there is an additional slot for the weapon as well. No Photoshop, all real, in-game items. Do with that information as you please, it’s just for clarity. So now the question comes down to when will these be released? Once again, we usually see weapon DLC release the day after the patch but it is rumored that Infinite Warfare may be getting new weapon DLC shortly so is it the safe bet to say we’ll get these tomorrow when there could be more DLC right around the corner? Who knows? The safe bet would be to say wait until tomorrow to see if they launch and if they don’t, then we can start taking guesses. If that’s the case, I would image it would be something that arrives at a time just after the Infinite Warfare DLC drops. Again though, time will tell and it’s only a matter of time. 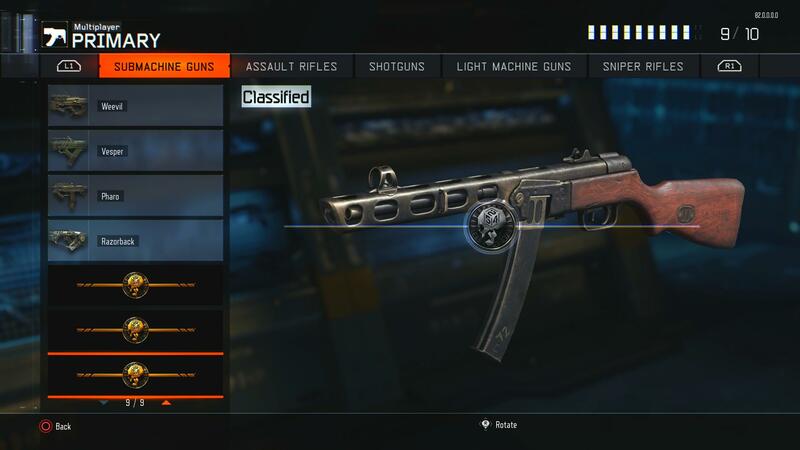 For now, we do know that the M16 and PPSH-41 are on their way into Black Ops 3 and more than likely in supply drops as a part of the February Contraband. Like it or not, it looks like more content will be coming in steadily throughout the year and players can look forward to grinding for keys or spending COD Points if they wish to hunt for these as well.